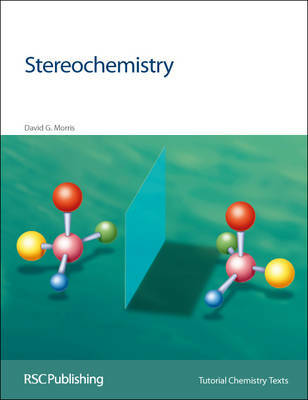 Stereochemistry is defined as the study of the three-dimensional structure of molecules. Stereochemical considerations are important in both isomerism and studies of the mechanisms of chemical reactions. Implicit in a mechanism is the stereochemistry of the reaction: in other words, the relative three-dimensional orientation of the reacting particles at any time in the reaction. Concentrating on organic chemistry, early chapters deal mainly with definitions of terms such as chirality, enantiomers, diastereoisomers and racemization, complete with suitable examples to illustrate key concepts. Use of a polarimeter and associated definitions are described, together with two different conventions D, L and R, S for specification of configuration. Chirality without a stereogenic centre, in molecules such as allenes for example, is also covered. The distinction between conformation and configuration is developed to include assignment of configurations to di-substituted cyclohexanes and to the decalins. The conventions E, Z and Re, Si are introduced for sp2 hybridized carbons as found in alkenes and carbonyl compounds. Diastereotopic groups are discussed. Aspects of stereochemistry are explored through consideration of addition reactions to alkenes and carbonyl groups, nucleophilic substitution, and reactions (and interactions) involved in the resolution of racemic mixtures. Additional material is available on the website at www.rsc.org/tct Ideal for the needs of undergraduate chemistry students, Tutorial Chemistry Texts is a major series consisting of short, single topic or modular texts concentrating on the fundamental areas of chemistry taught in undergraduate science courses. Each book provides a concise account of the basic principles underlying a given subject, embodying an independent-learning philosophy and including worked examples.